Dr. Alexander Marmureanu, board certified in thoracic and cardiac surgery, has a practice experience of nearly 30 years. He received his medical degree from the University of Craiova Faculty of Medicine and did an internship at the New York University School of Medicine General Surgery, where he also started his residency training in general surgery and plastic surgery. 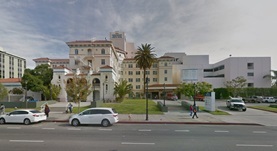 The completion of Dr. Marmureanu’s residency followed, at Mount Sinai School of Medicine, as well as a fellowship program in thoracic surgery at UCLA Medical Center. Over the course of his career, he has contributed to numerous publications, being also a member of multiple medical associations such as the Association of International Vascular Surgeons, the International Society for Minimally Invasive Cardiothoracic Surgery and the Romanian Association for Endoscopic Surgery. 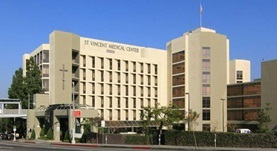 Dr. Alexander Marmureanu is the founding physician of California Heart & Lung Surgery Medical Center as well. He also has a special expertise in minimally invasive surgery, having developed several innovative procedures and techniques of his own. 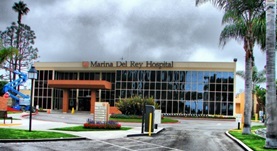 At the time, Dr. Marmureanu practices in California, at Marina Del Rey Hospital, St. Vincent Medical Center, and Hollywood Presbyterian Medical Center. Dr. Alexander Marmureanu has contributed to 3 publications. Heart transplantation in patients with diabetes mellitus in the current era. Marelli D1, Laks H, Patel B, Kermani R, Marmureanu A, Patel J, Kobashigawa J; University of California at Los Angeles Heart Transplant Group. TTF-1 and HNF-3beta in the developing tracheoesophageal fistula: further evidence for the respiratory origin of the distal esophagus\'. Crisera CA1, Connelly PR, Marmureanu AR, Li M, Rose MI, Longaker MT, Gittes GK. Esophageal atresia with tracheoesophageal fistula: suggested mechanism in faulty organogenesis. Crisera CA1, Connelly PR, Marmureanu AR, Colen KL, Rose MI, Li M, Longaker MT, Gittes GK.